Another Valentines Day project. In case you missed last weeks DIY // Valentines Day Love Sign go check it out. 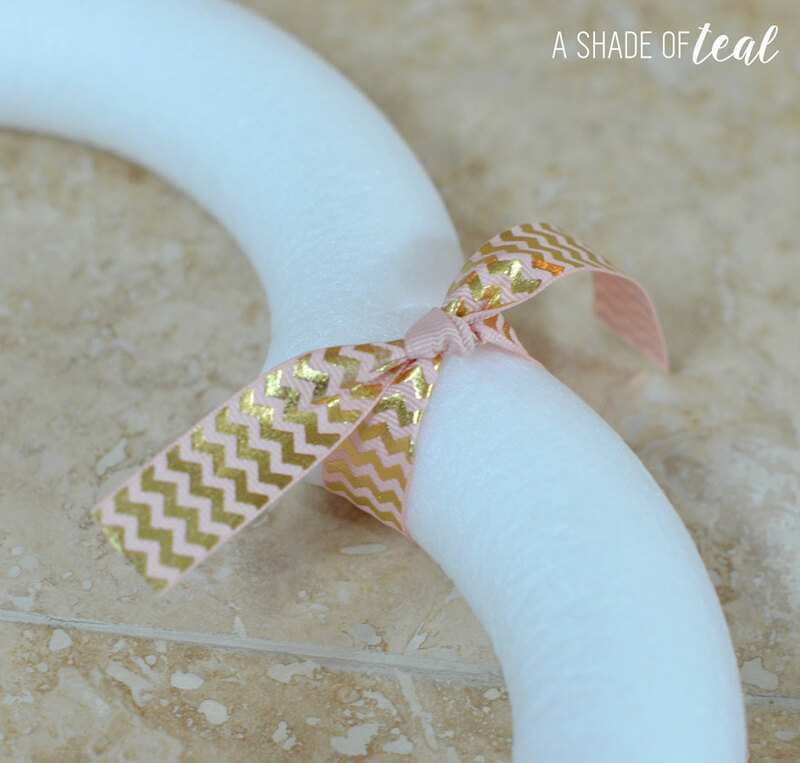 My Valentines Day mantle is coming together and today is a easy tutorial for a Valentines Day Heart Ribbon Wreath. 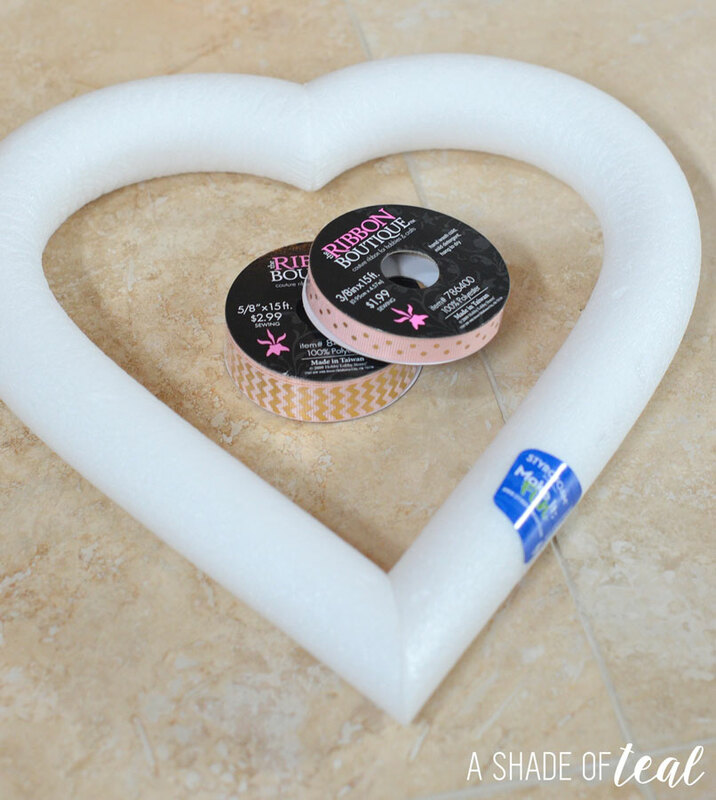 Foam Heart, I bought mine at Hobby Lobby. First start cutting the ribbon down to size. I took 1 piece and made that my template piece. 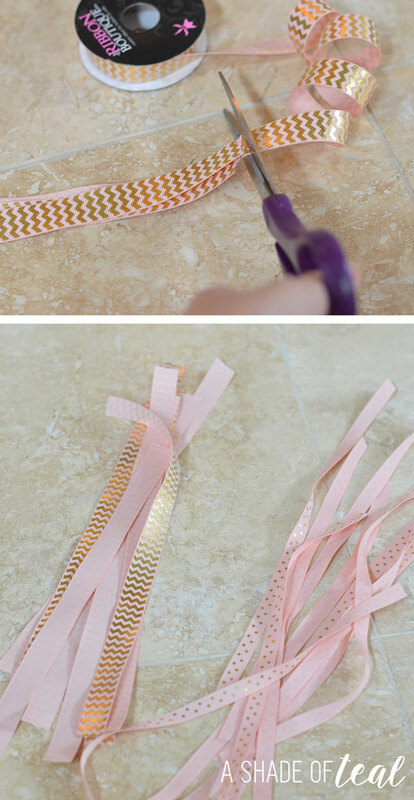 I’m also using 2 types of ribbon to add more interest. 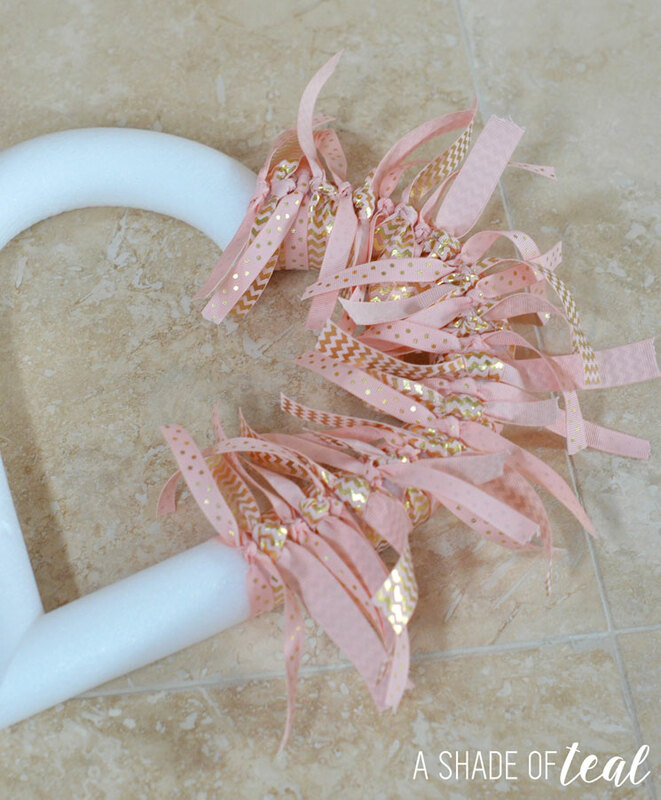 Once you have them cut start tying them on the foam heart. This will take some time to cover the entire heart. 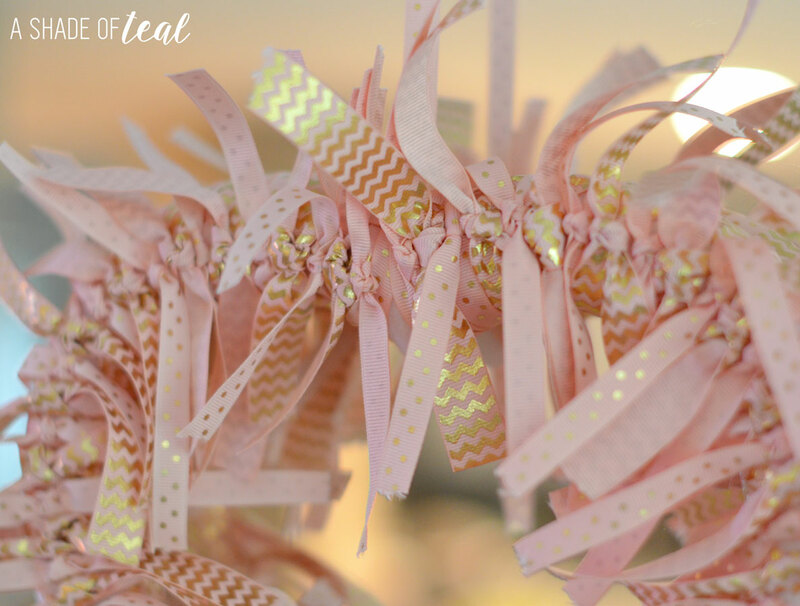 I tied each ribbon in a double knot to make sure it stays. Here’s where I made it using 2 rolls of ribbon, both were 15ft long. I ended up buying a total of 7 rolls of ribbon. I did have leftover. Keep the process going till its entirely wrapped. I think I only spent 1 hour total doing this, watching TV helped! Finally, I tied 1 more piece of ribbon to the top and taped it to my mantle mirror. That’s it! Here’s some more pics all done. 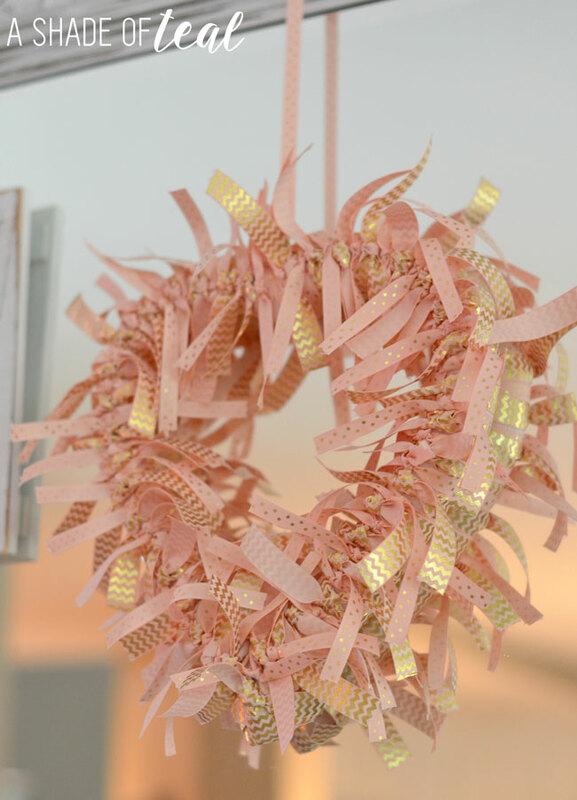 Come back Friday to see my full Valentines Day mantle reveal!